Leland Smathers obituary. Carnes Funeral Home. 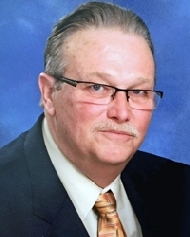 Leland Ray Smathers, born August 27, 1952, to Elmer and Zelta Smathers, unexpectedly relocated to heaven to be with His Lord on February 23, 2016. Loved by so many, he leaves a big hole in a lot of hearts. Whereas Leland held two Masters' degrees, his greatest feat was being an amazing counter-balance for Josanne, his wife of 41 years. Not only was he a good husband, but also an inspiring father to his awesome children David, Rachel, and Levi, plus Erica and Karen (precious daughters-in-law), and the best Papa ever to his 4 grandchildren, Naomi, Jacob, Aubrey, and Kyleigh Jade. Leland was also a major help with his mother-in-law, Jo Ellis, after his father-in-law, Dr. Curtis Ellis, preceded him to heaven. Leland's brother and sister, Jeff (Kathy), Paula (Norrie), his nieces and nephews, will miss him, as will his brothers-in-law (Ray, Dan, Gary) and sisters-in-law (Deb, Elaine, Christie). Funeral services are scheduled for 11AM Saturday, February 27th at First Baptist Church, 822 23rd Street, Galveston. The family will receive visitors at the church on Friday from 5:30PM-7:00PM. Floral arrangements may be delivered to the funeral home before 3PM Friday, or directly to the church after 4PM. Donations may be made to First Baptist Church in lieu of flowers.